Your South Iceland journey will take you through the country’s lush farmlands, flanked by rugged mountains, glaciers (including the infamous Eyjafjallajökull) and volcanoes of the interior on one side and vast Atlantic ocean views on the other. 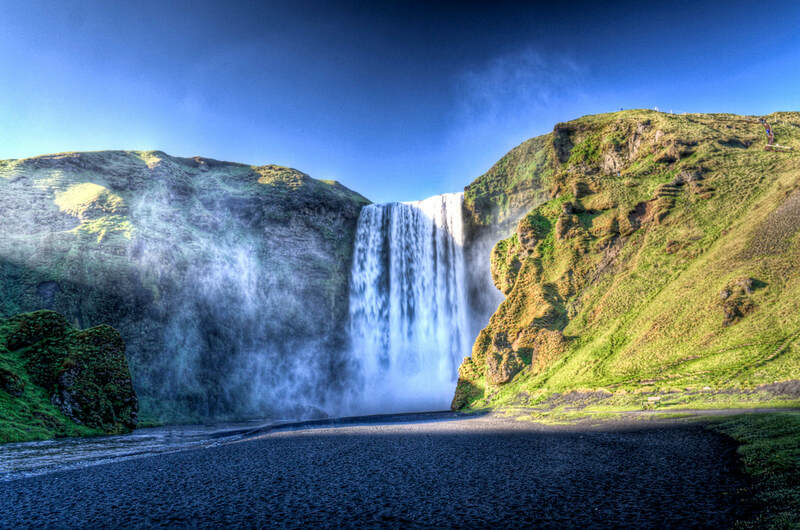 On this tour of South Iceland you will also experience the powerful beauty of Seljalandsfoss waterfall, where the Seljalandsá river, which originates under Eyjafjallajökull glacier, falls, as well as Skógafoss, one of the largest waterfalls in Iceland. 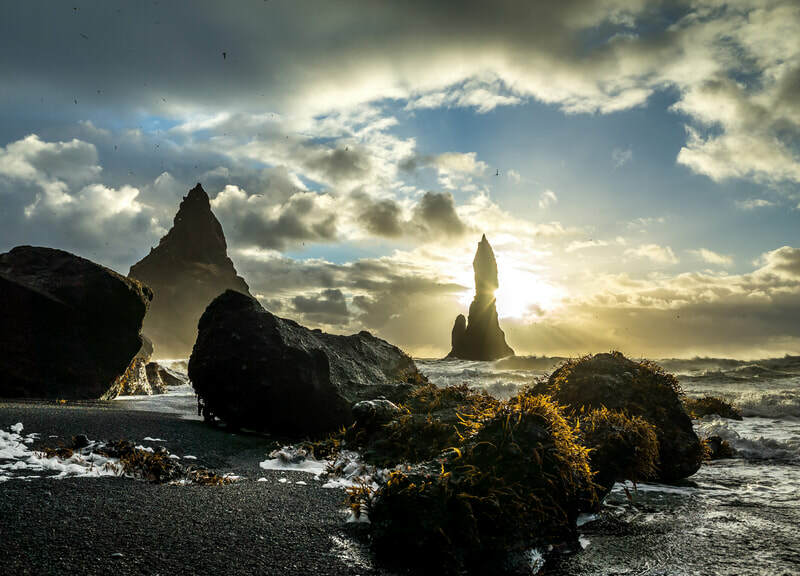 Just outside the town of Vík í Mýrdal (or just Vík to the locals) you will visit the soaring basalt rock formation known as Reynisdrangar and the black sand beach of Reynisfjara.